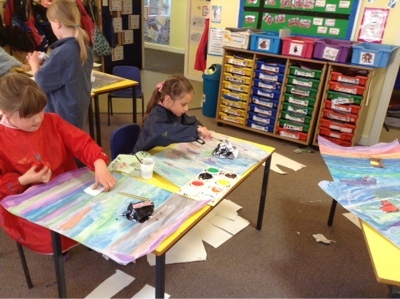 Today we were making St Michael's Mount and the boats and fisherfolk in the foreground. (Not Mrs Turner, that would be rubbish)! 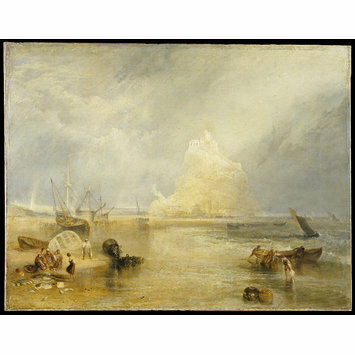 We have looked at the lovely watercolours by J.M.W Turner and this week we will be trying to create our own versions of his painting of St Michael's Mount. 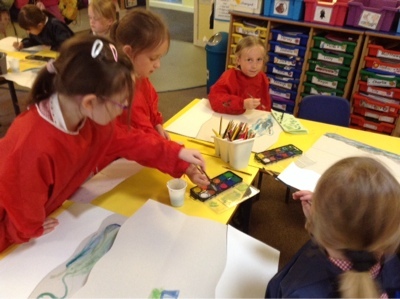 Looking at Mrs Cundick's model to decide the best way to paint and make St. Michael's Mount. 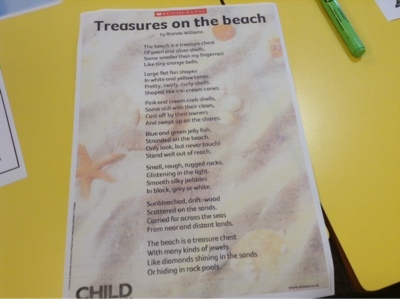 What did you like about each of these poems? Do they have great word choices? Powerful verbs? 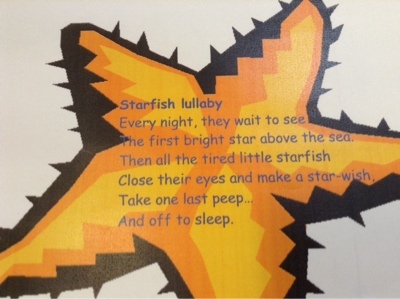 Alliteration? Similes? Do they conjure up great pictures in your head? 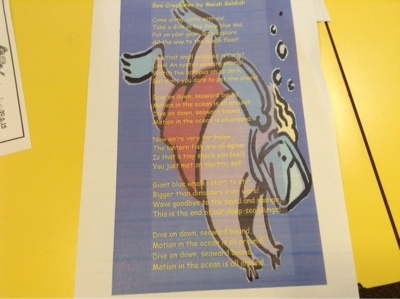 We worked with a partner to be poetry detectives! 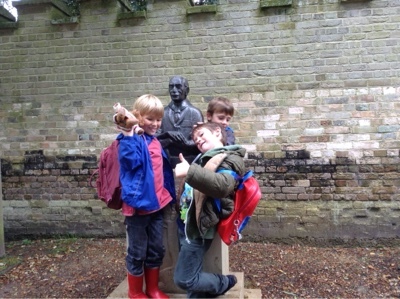 Earlier in the week we all wrote some great recounts of our visit to Brownsea, just like Daniel and Katie's one in the newsletter. 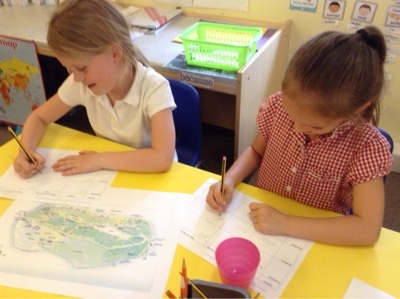 We used maps of the island to help plan our writing- can you remember what happened in each place? Why do you think they live there? 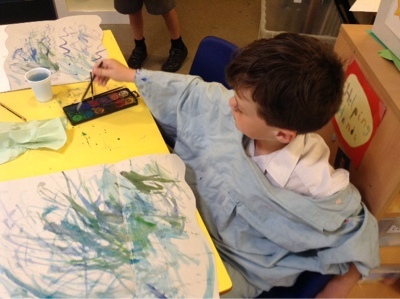 We have talked in great detail about the wildlife that we saw on Brownsea Island and have spent some time discussing habitats and what the animals might eat. The interesting thing to think about now is WHY you think the wildlife is suited to the habitat it lives in? Sometimes, it is great to find out about other people's ideas and opinions. Walnut Class have asked me to put this link on the blog, because we used a Goldilocks and the Three Bears clip like this one to explore our speaking and listening skills before Show and Tell today. What do you think about Jack and the Giant? 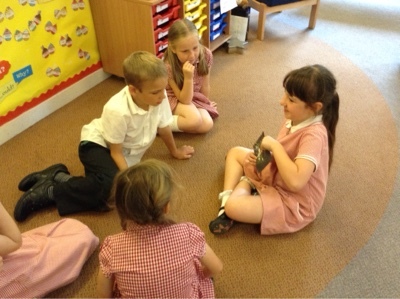 Show and Tell seems to be going really well working in small groups so that everyone gets a chance to share each week. 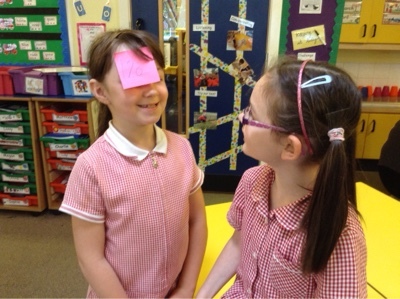 It was lovely to see some of the class using the post it game to think about numbers in Golden Time today... don't forget it's an easy game to play at home! Paper oceans . 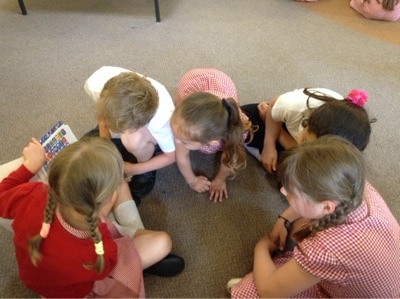 . .
We investigated all the different ways we could twist, fold, curl, smooth and scrunch paper (no scissors allowed!) to make one of the oceans of the world we had been learning about. 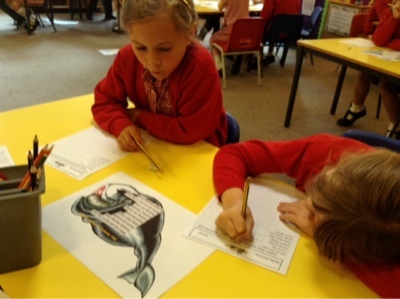 Can you remember how many oceans there are in the world? 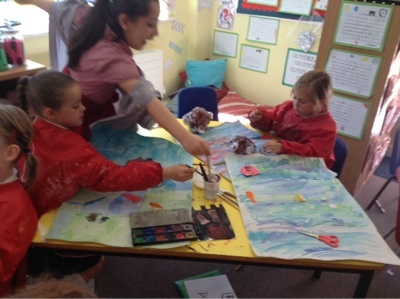 We ended up with the whole classroom looking like a wonderful ocean! 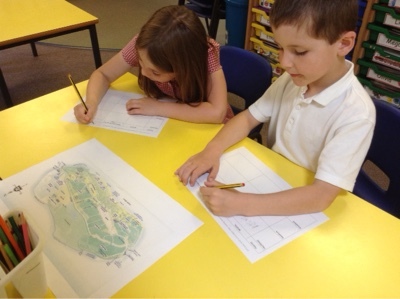 We had a great morning using all our maths skills in different activities based around Brownsea Island. 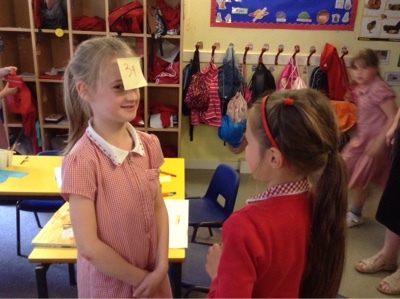 We investigated capacity measuring in ml and litres and distances when we learnt a new word: perimeter. 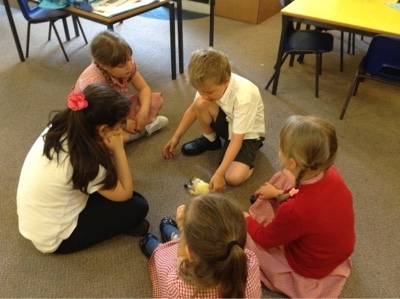 We also tried to stop the island sinking by controlling the weight of the animals in different parts of the island! It was a little wet . . . but then the sun came out and the sky turned blue! It did start off a with a bit of a drizzle and then a bit more than that when we had lunch . . . but everyone kept smiling and on our walk down to the boat to go home the sky turned blue - hurray! After his adventures at Okehampton Paddy was determined to come to Brownsea Island. He enjoyed this boat trip much more than his rather wet kayaking with Mrs Cundick. He looked down a badger sett and was very glad a badger didn't appear to frighten him away. He spent most of the day riding in a backpack, but enjoyed the wooden car and rowing in the boat in the middle of the woods. 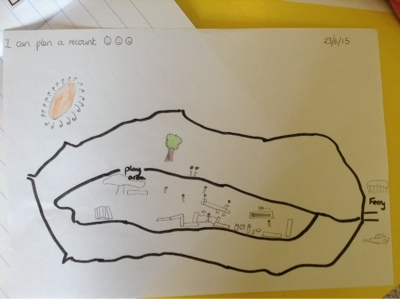 Well done Paddy - the great adventurer! 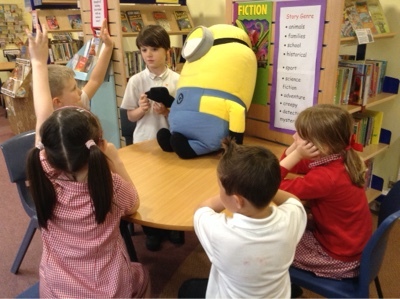 Mrs Chapple's photos - thank you Mrs Chapple! 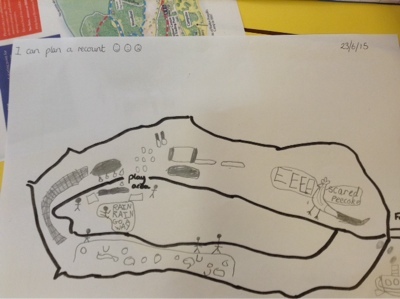 What is Brownsea Island like? Thank you to Walnut Class from Mrs T! 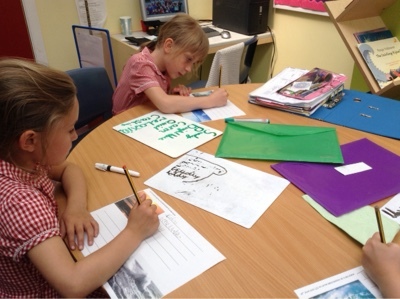 Letters to Paddy and Mrs Cundick! How many of these 3d shapes can you name?